This summer in our digital edition, Little Star Weekly, inaugurated an occasional series, a correspondence on poetic means in the English of here and there (England and the UK) by Rowan Ricardo Phillips and Glyn Maxwell. Read Glyn’s first installment in Little Star Weekly here, ensuing correspondence below. didn’t have to wait long at all for Larkin or a number of his contemporaries who were not his equal. And while I do not mean at all to imply that understanding Stevens is understanding American poetry now, I no doubt do mean to imply that when two generations pass after the death of Stevens before his complete poems come to press in the UK we poets are not in a rush to understand one another. And must we be? Honestly, I find the finding, the discoveries, quite fun. And sharing our appreciation is a simple letter or email away. Some of the presumption of the problem is that as nearly everything else now is about our accessibility, our poetic relationships (workshops, readings, conferences) should be increasingly more so as as well. But a little bit of difficulty doesn’t hurt, does it? And accessibility is a terrible object for poetry. isn’t missing Frost, even if so many cluelessly use him as a road not to be taken. I taught an MA student lately; he’d spent two terms immersed in the postmodern and was pretty much unreachable. I told him what I think about (I mean can hear in) “Acquainted With The Night.” He gave me this basilisk stare and said: “Oh you’re making that up.” I was trying to show him what meter does, vowels, rhymes, punctuation, how things actually affect the body. Nah, just making it up. Clearly I had no game, no key, no system, no wink or shrug. Anyway, our Thomas is distinct from your Frost and I still think poets need both. Oswald does it on our shores, astoundingly, in Memorial. Runs it by us again like bulletins, the terrible things run by us again like bulletins. I can only believe in a patterned discourse of that kind if I know—if I can hear—that the poet would give it to me straight if s/he could—but either beauty or terror bars the way, chokes the voice, sea-changes it. Pointless saying I miss New York—take that as read, Rowan—but let’s make a date to watch Arsenal on some midtown big-screen next time I’m over. We now have eleven of the world’s silkiest midfielders, even in goal—why don’t we win everything? … Oh, I see. 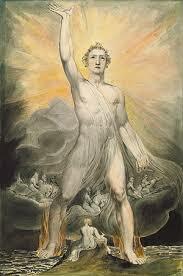 You have nothing like Whitman, true, but you have Blake. And Blake was multifoliate, more varied in his vision than Whitman, who bounced up and down on top over the same ideas until they heated up and reached critical mass. Whitman was also an editor of himself like few before or after. American renewal, parthenogenesis, etc. But come to think of it, American poetry seems to work via explosions; someone bursts onto the scene. Their British counterparts seem in their branching out more filial and organic (with apologizes to Byron who, as we all know, one day woke up famous). But British and American poetry seem, in general terms, to share a tendency toward appropriation and a subsequent retroactive search for the source—our poetry rarely finds itself in the sun of its source. Whether the English ballads (where did those come from again? ), ghazals or free verse (a.k.a. vers libre), the egg tends to get lost in the omelette. Which makes sense since the English language is like that, too. Poetry is the creative elaboration of a syllable, set to syllables—it is an idea set to an idea of music. And when a poet maintains in the vowels, rhythms, phrases, and punctuation something that feels feral and utterly necessary, I feel pushed back toward a first idea even as my mind hurtles toward the future implications to which the poem’s presence in and of itself alludes. I was about to bring up Dylan Thomas here and in particular how I can read “Fern Hill” every day all day, because it always feels to me like it’s making new space for its language in the ways I’ve just described. But maybe that’s too willful a turn; it seems so. Non-sequitur #1: I’ve enjoyed watching from a distance as The London Review of Books published August Kleinzahler seemingly poetry issue after issue. The LRB is the LRB and Kleinzahler’s poetry is so puckishly, robustly American; even his two home towns, Jersey City and now San Francisco, practically bookend the continental US. Not quite non-sequitur #2: It is always pointless to say that you miss New York, but never pointless to say that you plan to come find me to take in a game. I’m always up for a game. repetition and accretion: the work as a whole hoped to contain as much of the latter as the former. Non-sequitur #4: Auden awarded Robert Hayden the Hopwood Prize at the University of Michigan in 1941. This gets no mileage anywhere, but the idea of the 1941 Auden reading the 1941 Hayden is a great allegory for the synergies between British and American poetry that hibernate between all of this hoo. But how can I relate to space? America feels like the house next door, and the east side of Welwyn Garden the far side of the earth. The poem “Birthplace” which I put in my last book was all about that, and my shorthand introduction was always “here’s my shot at ‘Fern Hill.’” I’m glad you mentioned D. Thomas, after I’d done my obligatory quiet English bow to the namesake Edward. But they were both Anglo-Welsh, and so am I. Dylan—the Celtic three-fourths of my blood—is out of fashion with those who know only fashion. People who have no ear say “I can’t hear anything.” When someone trashes Dylan Thomas I know I’m in the presence of the ordinary. What saves poetry from time is music. No living poet has written a poem that will outlast “Do not go gentle into that good night,” not one. The deity Time will tell you that, but I’ve turned fifty now so I’m saying it myself. So I sign off with Arsenal top in England (am I dreaming? ), Barcelona top in Spain (no it’s real), the sun coming up, a new play about to open, and I’ll see you before long, either in my heavenly otherworld New York, or that beloved Orc-haunted Hobbiton I know as England. Read the rest of the correspondence here. Rowan Ricardo Phillips’ second book of poems, Heaven, appears this month. Glyn Maxwell’s most recent book is Pluto, and his Collected Poems came out in 2011. This entry was posted in News and tagged Poetry. Bookmark the permalink. Follow any comments here with the RSS feed for this post. Both comments and trackbacks are currently closed.